This little sloth is trying to climb up a high tree. But it is difficult for him, moreover, there are evil birds on the tree who don't want to have a new neighbor. They are trying to prevent him from climbing higher, thus we're afraid he will need your help! This tree is very high and slippery, but it's absolutely necessary for this sloth to climb on it! 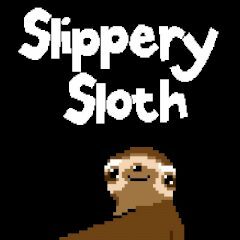 But the evil woodpeckers who live on its top don't want the sloth to be their new neighbor, thus they are trying to throw him off the tree at any costs. Are you ready to help the poor animal in this free online skill game? We hope you will be persistent enough to do this! Have fun with this arcade gamecreated by Bored?